Kadence International’s first foray into strategic marketing and communications needed to separate them from the pack in a crowded market. Mustard were retained by Kadence to make a start on their marketing and communications around the world, something that hadn’t been done previously. Working with the global senior management we built a communications strategy that covered both the data collection and the research consultancy sides of the business. 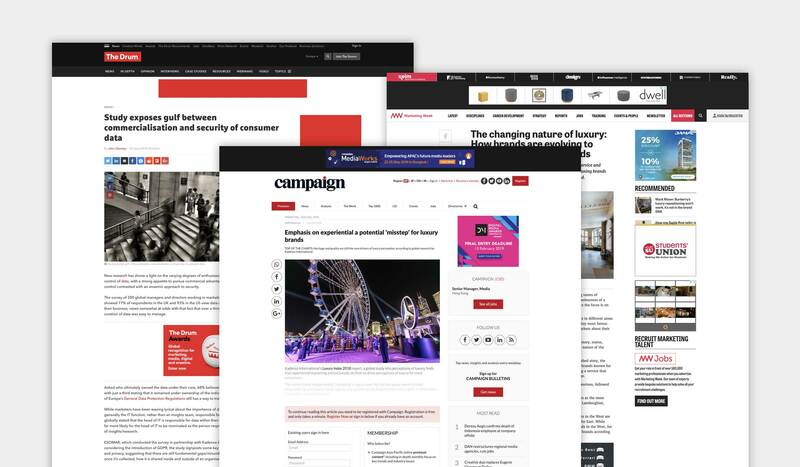 We leveraged existing data to secure exhaustive coverage in business and trade media for the luxury sector, along with regular blogging opportunities in the research trade media, and a landmark self-funded research study into data storage and security with a key industry partner. This was packaged for media and conference presentations, and a report was distributed to members of many leading international marketing and research associations.